Now is the last chance for homebuyers looking to purchase a home in the senior living community Silverado Village Placerville. 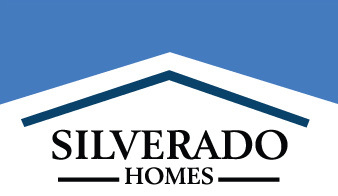 Offered by popular homebuilder Silverado Homes, Silverado Village offers new homes, convenient amenities, around-the-clock security and a multitude of recreational opportunities that fit a variety of lifestyles. The community is known for their “easy living” philosophy and specific designs to make daily life more comfortable for seniors. With the homes starting in the low $300,000s, it’s no wonder that this community has already seen such huge success. Silverado Village Placerville consists of a total of 113 single-story homes, which come in three different floor plans and range in size from 1,207 to 1,590 square feet. These homes were designed with seniors in mind with amenities including extra wide door openings, lever style doors, lower-set microwaves, cabinets for easier accessibility and no-step walk-in showers. All homes include emergency pull cords and remote pendants for an added peace of mind. The newly constructed homes include R-8 duct insulation and tankless hot water heaters, exceeding California energy efficiency requirements by more than 18%. Residents have access to the Village Center, which offers an indoor heated swimming pool, fully-equipped fitness center and an indoor spa. The Village Center also features a community room, available for arts and crafts, seminars, puzzles, card games or even just enjoying some company in the presence of friends. The neighborhood features an Eskaton Lodge and Bistro Cafe, where residents can enjoy a delicious meal or have one delivered directly to their home. Silverado Village’s multi-level care approach includes assisted living apartments for residents who need a little more assistance, as well as, memory care options if the need should ever arise. Services such as physical therapy are also available within the community, keeping residents within a comfortable and familiar setting as their needs change. The sales office and model homes are located at 3471 Eskaton Drive and are open daily from 10:00am to 5:00pm and on Wednesdays from 1:30pm until 5:00pm. Feel free to stop by and see this spectacular community and tour one of the professionally decorated model homes!